The great wall of China is not continuous wall that was built at one time to address one militaristic threat. Instead, it is a series of fortifications built during different dynasties, the earliest of which dates back millennia before the unification of China under one emperor during the Qin Dynasty. 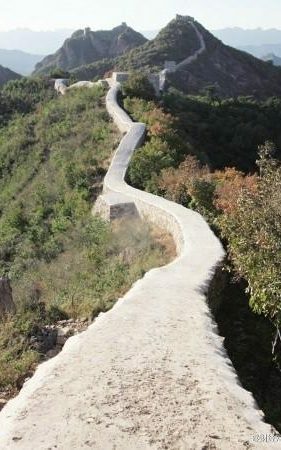 As such, each individual section of the great wall of China is a living testament to a specific and momentous period in China’s rich history. This was the case with a more than mile long stretch of rampart in Suizhong County in the northeastern province of Liaoning. It was built in the late 14th century during the Ming Dynasty in order to thwart the advancing Mongolian invaders. It managed to keep them out, and it stayed intact for centuries after. However, it appears that this magnificent feat of Ming era engineering and unbreakable barricade has been breached not by attacking outsiders but by Chinese officials themselves. Despite the fact that this wall in Suizhong county has UNESCO heitage site status, for years thieves have been robbing bricks from the more than 700 year old structure to build houses. This practice of illegal brick harvesting has resulted in extensive damage to a main section of the wall. 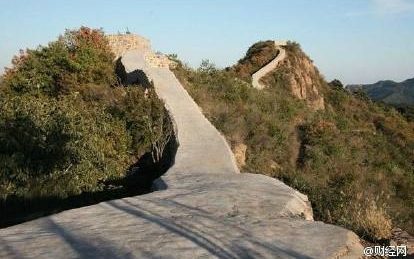 In order to stop this damage, in 2014 the top government officer responsible for culture in Liaoning province set about putting laborers to work having workers pour a “protective” layer of concrete over the damaged stretch of the fourteenth century fortress. In doing so, many of the most historically interesting structuring details are now forever lost; having been mixed in together inextricably with mundane modern cement. These include the notches built into the wall that served as turrets for the Chinese archers. In essence, this important historical site has been converted into shopping center sidewalk. Severe Media Outrage in China and Around The World! Although China is infamous for its tight media controls that allow for very little criticism of the government, the Beijing News ran a scathing editorial. In addition, the Chinese social media site Sina Weibo has been abuzz with criticisms from ordinary Chinese citizens bemoaning the completely botched restoration job.